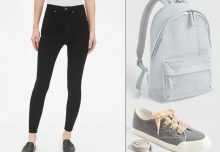 Gap is stocking its stores with some of the prettiest pieces for the spring season. 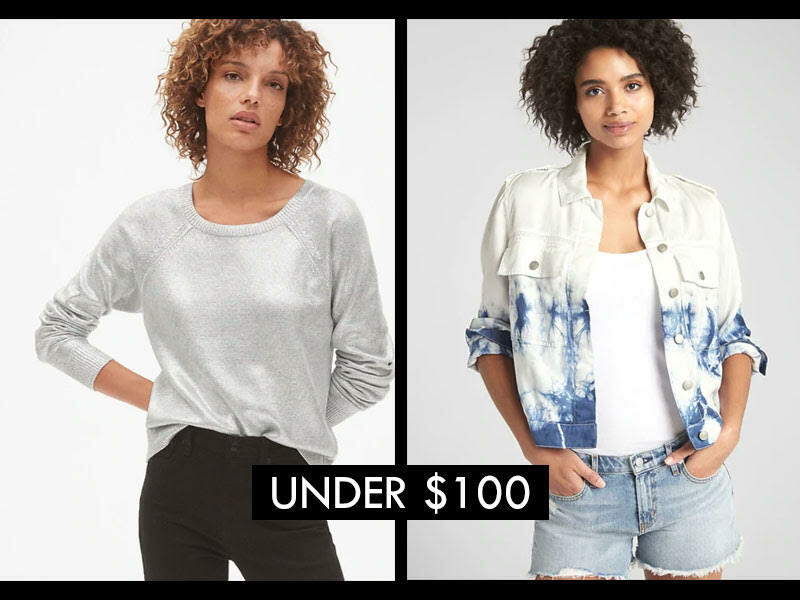 Not only are we positive that you will get a ton of wear out of these purchases, but they are all under $100! 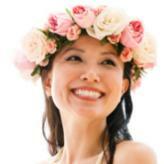 People will think that you paid a lot more for these styles! 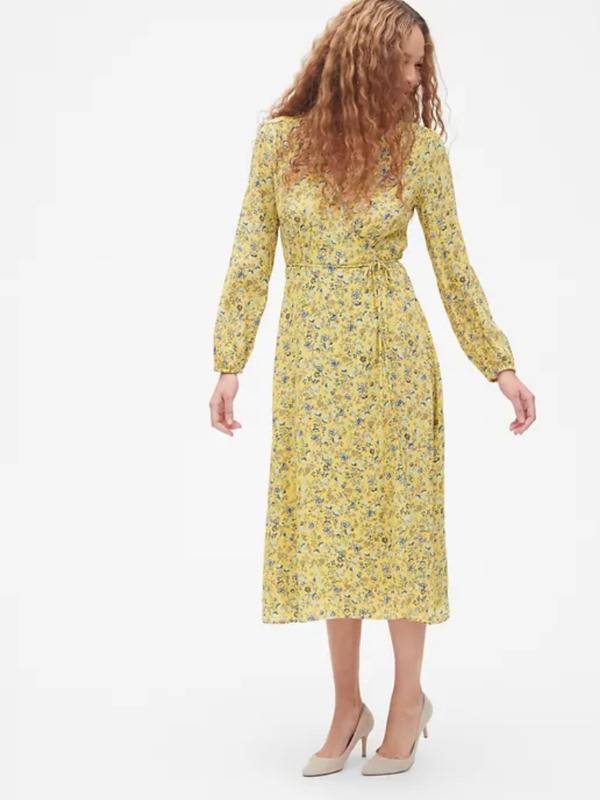 A pretty, yellow floral dress is exactly what we need for the springtime! It’s such a lovely design for day or night. 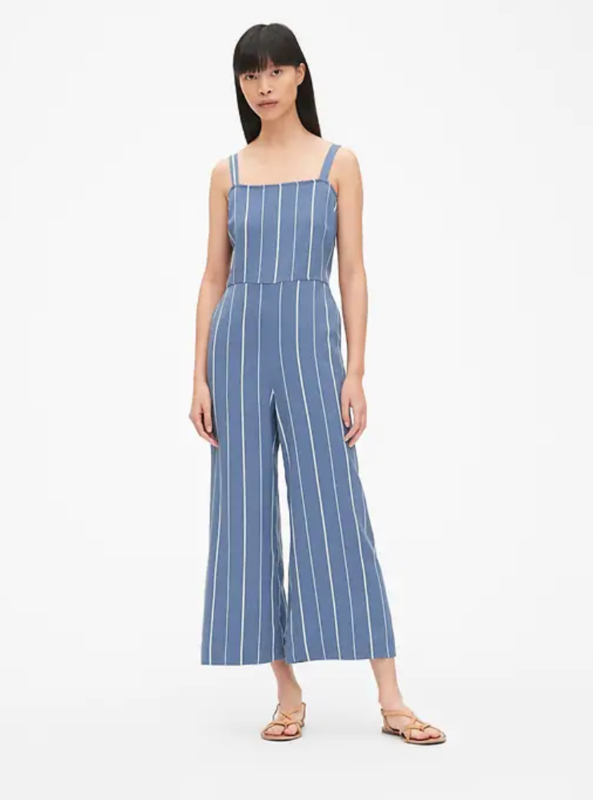 You’ll look instantly dressed up when you slip into this sleek jumpsuit. Wear with flats or heels. 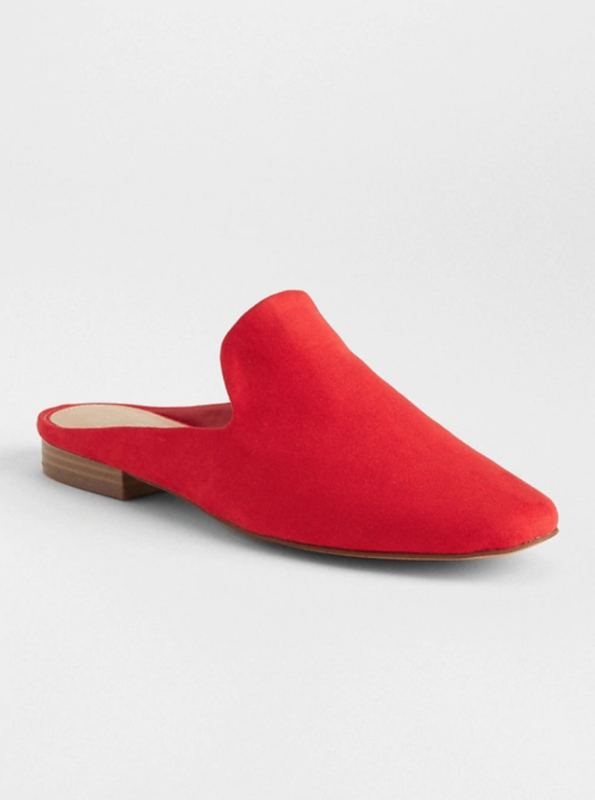 These flat mules are going to become your go-to shoes for the warmer weather! 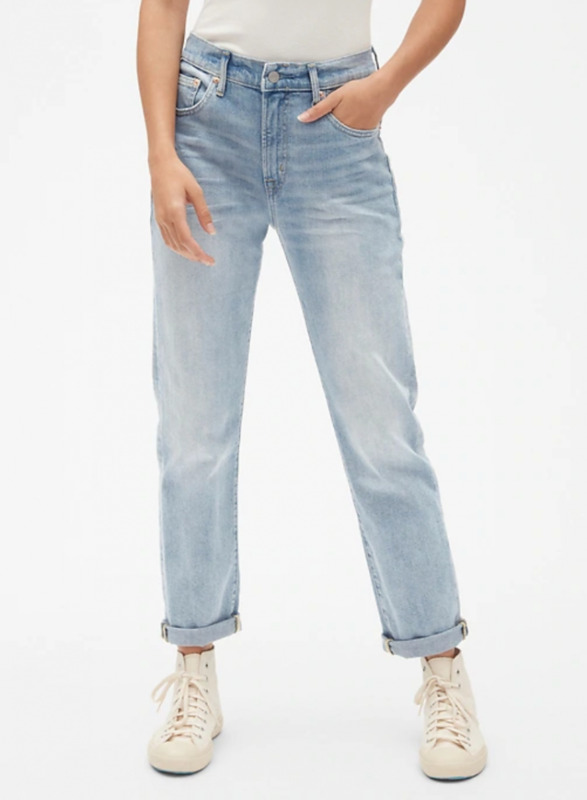 High-Rise jeans are perfect for those slight crop tops you’ll want to break out this season. Slip on a pair of gorgeous heels or wedges to really elongate your legs. 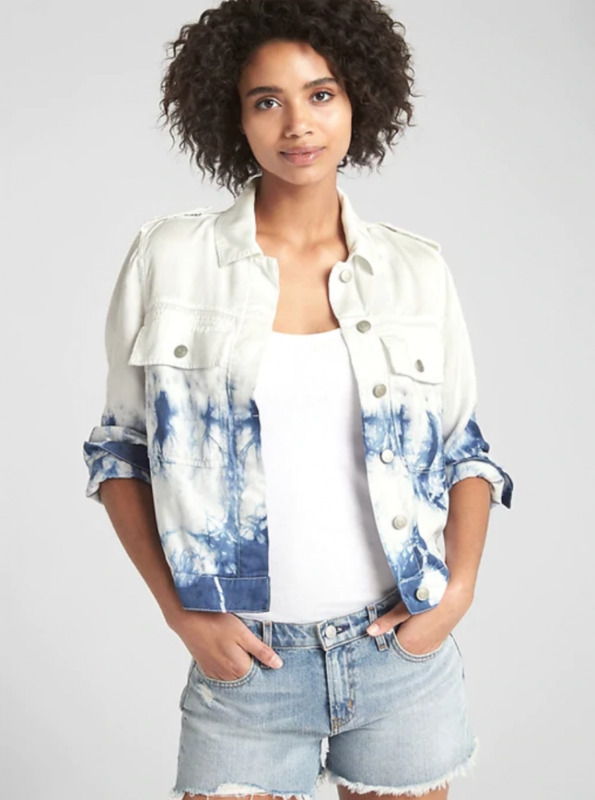 Tie-dye styles are going to be so MAJOR for the warmer months. 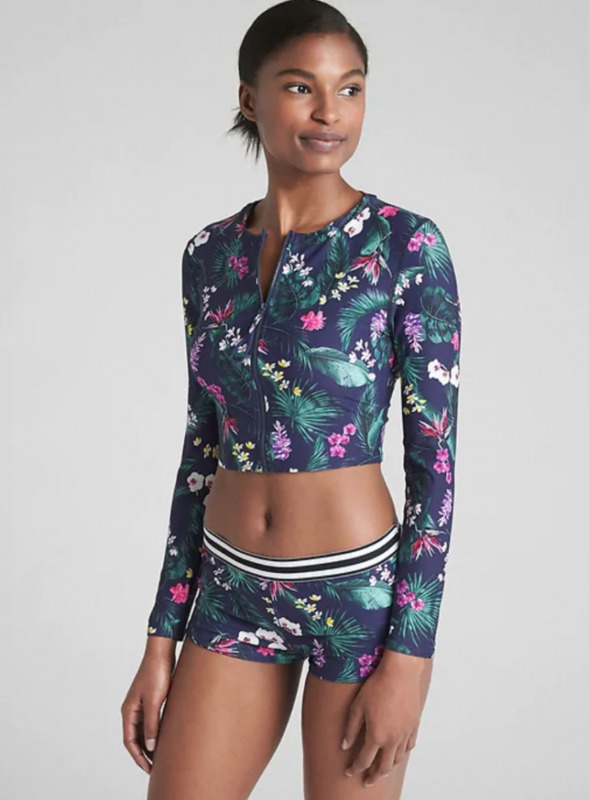 Protect your skin with a rashguard that contains UPF 50+. Shine brilliantly in this silver number. 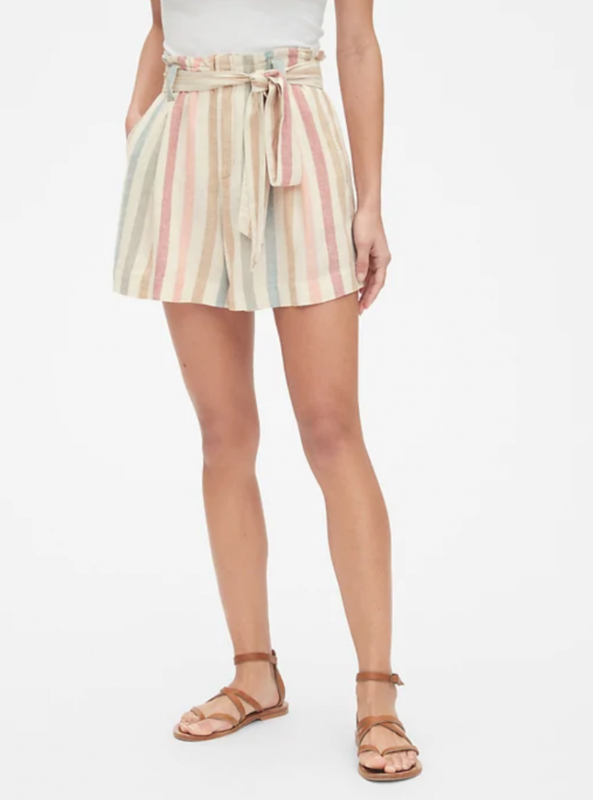 Pair these paperbag shorts with cute blouses and sandals for fashion-forward looks. 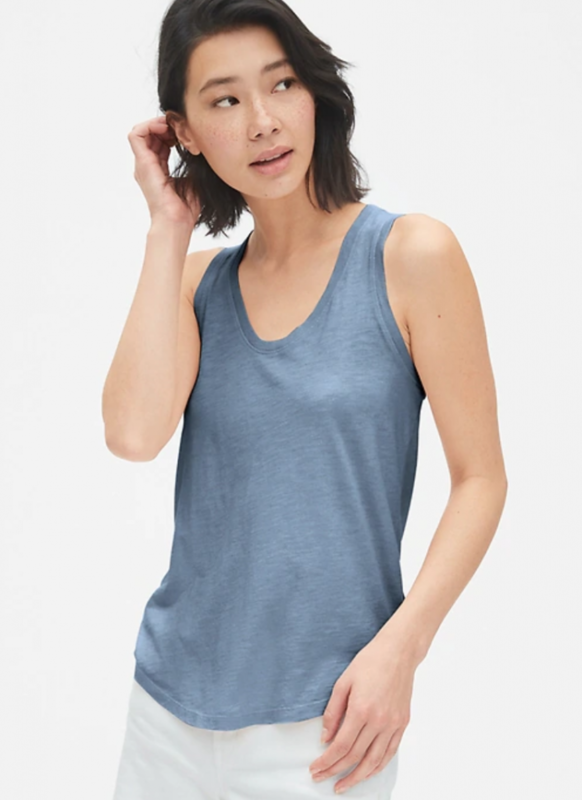 A great tank is perfect on its own or for layering.